Easter Songs for preschool through school age children. 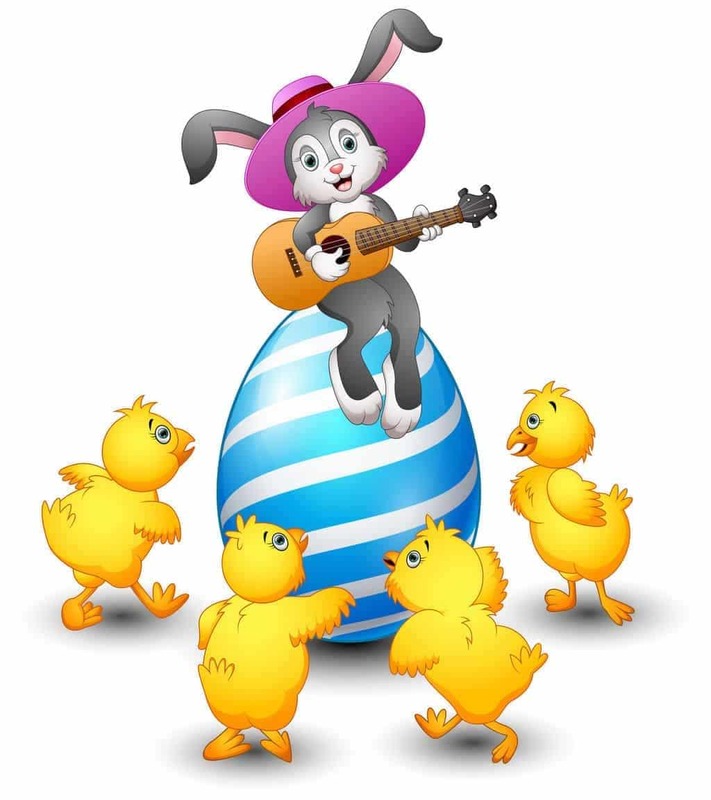 An Easter song, I sing to my class at Easter time. They wear bunny ears which I buy from a discount store. I have 5 little bunnies and they stand up in front of the class while we sing this song. Mummy bunny called them all right back. But only 4 of her little baby bunnies came back. Repeat to 3,2,1 bunny come back. Then sing the song again and all the bunnies come back. Kids love this because they get to be able to take on a role in the song. Enjoy. Ohhhhhh Ohhhhhhhh Bunny is very funny! I said the Easter Bunny is very funny. Eggbert the Easter Egg Was a teeny little Easter Egg. Cutest thing you ever saw In the window of a big department store. All day the children came. Noses pressed against the window paid. Spoke to Eggbert but Alas! Eggbert cried because he couldn’t answer back. But all at once the clouds rolled by to let the sunshine through. Believe it or not! It got so hot that Eggbert split it two! A simple idea, but in case you haven’t thought of it try the Bunny Pokey with your class. You can use bunny ears, bunny paws, bunny feet, bunny nose, fluffy (or bunny) tail, and any other bunny parts. My class loves doing the Bunny Pokey. The Hippoty Hopity Easter Bunny is coming straight and me. Closer and closer he hops up on my knee. Up to my shoulder the Bunny’s much too near. Happy Easter, he whispers in my ear.